Currently placed 192nd worldwide and 50th in Africa on the world’s football governing body, FIFA’s ranking table and having lost its first qualifying match 4-0 against Algeria in June, Seychelles was surely not the favourite going into its second 2017 African Cup of Nations (CAN 2017) qualifiers against Ethiopia, on Saturday. 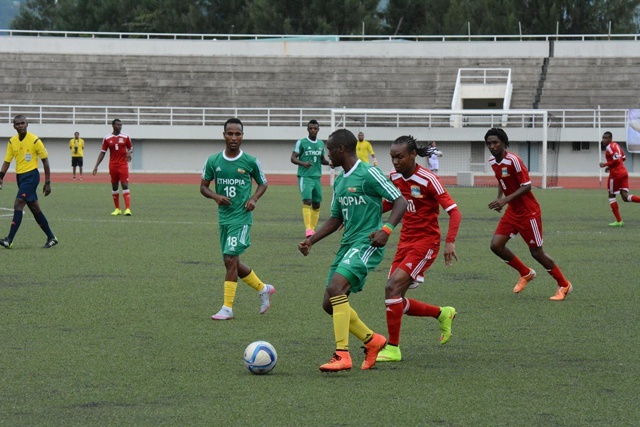 Nevertheless, the Indian Ocean island team managed to hold Ethiopia, ranked 103rd worldwide and 29th in Africa to a 1-1 draw at the end of 90 minutes of play, picking up its first point at the end of two games played in the competition. This was in spite of suffering a significant setback early in the second half to finish the game with ten men, after midfield player Trevor Vidot was given his marching orders after being shown a second yellow card in the match. The home team took the lead through a penalty kick, halfway through the first half when Seychelles played some of its best football in recent times, placing the visitors under intense pressure in the first 45 minutes. The shot was taken by Nelson Laurence, who plays for St Michel, a team based at Anse Aux Pins on the eastern coast of mainland Mahé, after he was brought down in the penalty area. 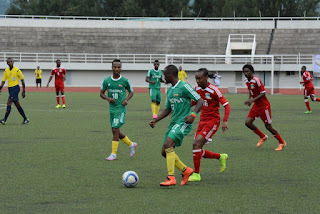 Although Seychelles maintained the 1 goal lead in the first half, the encounter can be viewed as a missed opportunity for the team to record a first win in formal competition in over four years, as the players produced no less than three clear-cut opportunities to take the lead in the first 45 minutes. Two of those chances were given to one of the seven new players added to the squad for the Saturday’s game, Bertrand Lablache, who plays for Lightstars based on the archipelago’s second most populated island of Praslin, but due to a lack of composure his shots ended up well over the bar. The game was one which left supporters of both sides on the edge of their seats for the duration of the match. The 'Walias' as the Ethiopian side is best known scored the equalizing goal 20 minutes ahead of full-time, with the team making good use of their numerical advantage and becoming a bit more dominating in the second half, after Seychelles' Vidot was shown the red card. The Seychelles goalkeeper Kitson Cecile had to be at his best to keep the visitors at bay, and he was called on to produce at least three top drawer saves in the final moments to stop his team from going down. Finally the two teams had to accept one point each with the game ending on a 1-1 draw.